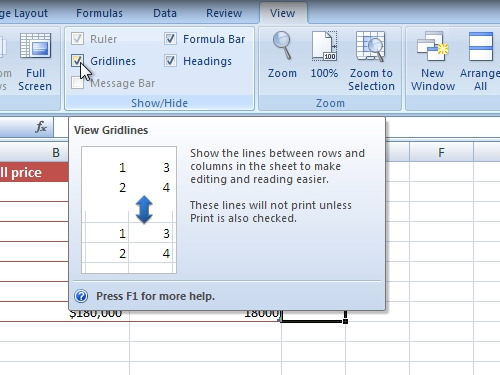 In this video tutorial we will show you how to hide excel gridlines. In order to hide excel gridlines, open an excel document. Go to the “View” tab. In the “show/hide” menu, uncheck “Gridlines” option and gridlines will be automatically hidden.